A couple of weeks ago, someone asked in the ALA Think Tank about what MLIS program they should enroll in. They wanted to narrow down their search to a school that would allow them to do well in a museums and archives library. It didn’t take long for many people to answer her question in a few different ways and it got me to think about what made my Graduate program as San Jose State so successful for me. I thought I would share a longer post about my thoughts on getting the most out of your MLIS Program for your future career. I know a couple of librarians who paid to go to private institutions or otherwise very expensive schools to get their MLIS. I would advise you not to do this. The MLIS that you receive is pretty much the same no matter where you go and the big difference is the dept you have when you’re done. You probably won’t get paid more if you go to a prestigious school and the starting salaries for librarians are pretty sad. However, you might come out feeling well trained or that you got a good education, but most librarians I talk to and many of the ones that paid for those expensive schools said that they learned more in their first week on the job then their entire academic career. 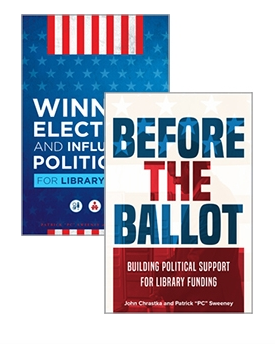 I would suggest (as sad as it is) to select your library program on price. So what do the big schools have to offer if they’re so expensive? Well, a lot of those schools have professors or other contacts within the profession that will help you out later in your career. For example, Pratt has John Barry and his words of wisdom and mentoring have helped more than one librarian I know out of that school. But I’ll tell you this, many of these same people go to conferences and other events where librarians gather and you’ll do just as fine meeting them there. So the money you save from not going to those expensive schools can take you to conferences around the country where you get the same perks and the option to meet even more people! If you can’t afford that then I would suggest joining Twitter, youtube, starting a blog, joining the ALA Think Tank, or another Facebook group, and connect with people there. In the end though, I would always suggest that you back up your online persona with your real one so at some point meet people face to face. Still don’t have the money to get to conferences? No problem, start your own meetups and gatherings for librarians in your area. For example, in the Bay Area there are three Meetup Groups for librarians. There is the Bay Area Librarians Group, the Information Amateurs Social Club, and the Information Professionals Social Club that put on events. But beyond just meetups and socials etc… you should just generally try to make it happen wherever you go. If there is something that you think that profession needs, just go ahead a do it! For example, Andy Woodworth created the People for a Ben and Jerry’s Themed Ice Cream Flavor, a bunch of people in SLIS made a Librarians do GaGa video that gained them notice in the profession, and there many other example. Basically, I’m saying make something awesome happen! Schools typically have a student chapter of the ALA or various other leadership opportunities that you can take part in. These kinds of things look great on your resume and show that you’re taking a serious interest in your profession beyond the day to day job. If they don’t have one of these you can make it happen and start one. In end, let me just reiterate what I said at the beginning – It doesn’t really matter what school you go to, but what you do with your time there. Do you have any evidence? I’ve seen ratings for other fields’ professional programs that include data about starting salaries and employment rates for recent graduates, but I’ve never seen this sort of information published about library schools. I think it’s natural to assume all schools are pretty much like the one you attended. But maybe that’s because no one gets concurrent masters degrees in librarianship from two different programs, so all that most of us have to go on are casual conversations and conjecture. I started taking classes toward a PhD in LIS at Rutgers four years after I earned my masters in LIS from Drexel. I don’t think one is categorically better than the other, but I’m convinced they have different strengths, and that those strengths can be identified, with enough research, prior to enrolling in the program. I think taking the time to do this research, and enrolling in the right program, will increase the odds of your getting the training you need and a job that suits your skills and sensibility. So will all of the other things you mention in your post. They’re incredibly important. But I think the school you choose is important as well. I didn’t mean that I was making that assumption based on my experience in school but rather that as a library manager and someone who has been on interview panels for multiple library systems (and not picked the candidates) that I have never heard of anyone ever commenting on the school that a person went to for their degree either for good or for bad. In fact, and maybe other managers can back this up or deny it, I don’t know of a library that has chosen a job candidate for an interview based on which school they attended. 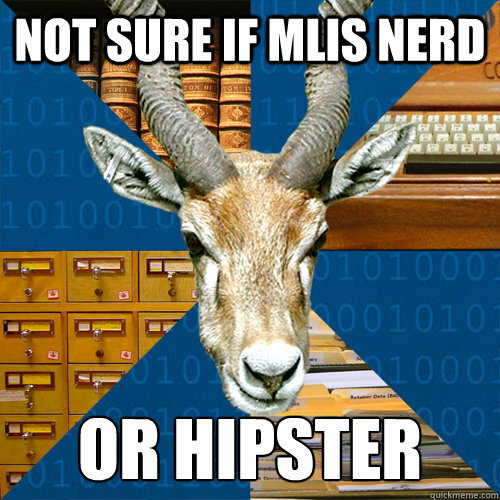 * The minimum qualification for starting librarian positions is the MLS/MLIS. Which means that everyone, no matter the school attended, starts competing at the same level. 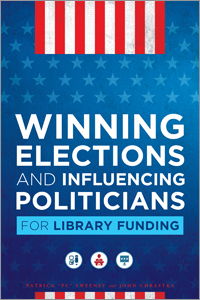 * The initial round of interviews in public libraries are highly structured – a panel will be asking all candidates who have made it that far the same set of questions, and rating your answers in several ways: how well you answered the question, how well you did compared to all of the other candidates, and how well they feel you fit the needs of the organization. The interviewers have to score based on these criteria, not on your resume or academic record. * There is a bit more flexibility at the hiring interview stage, where the top 3-5 or so candidates will be interviewed by library managers. It’s possible that the school you attended could come into consideration at that point, but it will still be fairly minor if considered at all – much more important is how well you do interacting with the interviewers. I have been working in libraries of various types for (gulp!) more than three decades now. In all that time, the *only* time I have heard the school name make any difference was when one of my co-workers earned his MLIS from our library director’s alma mater. That earned him some brownie points, but my co-worker already had his job. Neither the degree, nor the school name, has helped him move up the ladder to a new position. SJSU and my first school, NMSU, survey recent graduates and alumni for starting salaries and job acquisition. The data is then part of the glossy pamphlets that promote the school. When my sister started her MLS, she had 3 top picks–I wound up attending her 3rd choice and have loved it because it fit me better. I am often shocked at what information I pick up but my sister doesn’t recall.